I've been asked by a good friend to pass along a message about a great opportunity for you guys to buy antiques/vintage books, drink beer, AND support the Greenpoint branch of the Brooklyn Public Library while you're at it. I plan to be at this event; hope to see you there too! 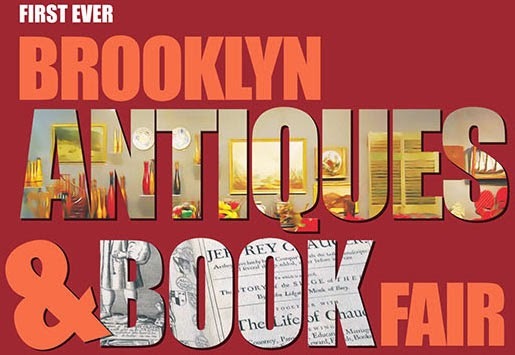 "The organizers of the Brooklyn Antiques and Book Fair, scheduled for September 13-14 (7:30pm-9:30pm) at the Brooklyn Expo Center at Franklin and Noble in Greenpoint, are putting together a special opening reception to benefit the Friends of the Greenpoint Library on Friday, September 12. Tickets are $25, including drinks and food from Brooklyn Brewery and Milk Truck, and are good for entrance throughout the entire weekend." Tickets can be purchased at here at Eventbrite. More information about the event is on their webpage. And, of course, they have a Facebook page. Check it out!